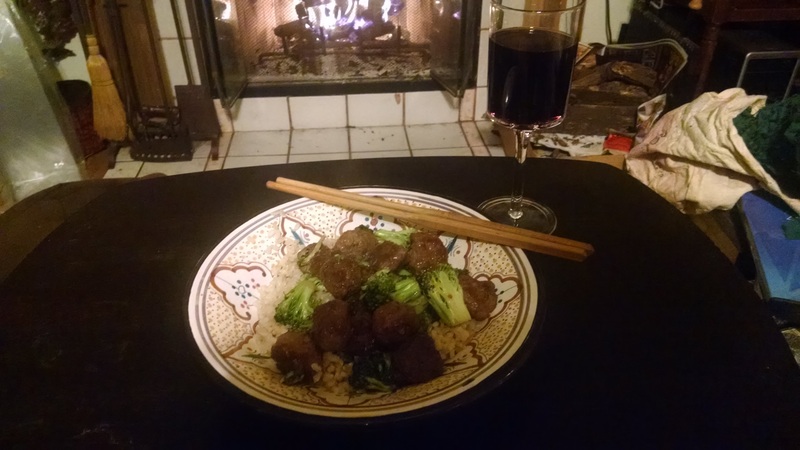 Blogs about cooking and making meals and other housekeeping things. It’s summer. It’s hot. Salads are a great way to get dinner on the table without cooking and a minimum of fuss. Plus they’re generally pretty healthy. So let’s get some salad basics going, and yes, we are starting with the dressing first. Remember our mantra? Don’t make any more mess than you have to. 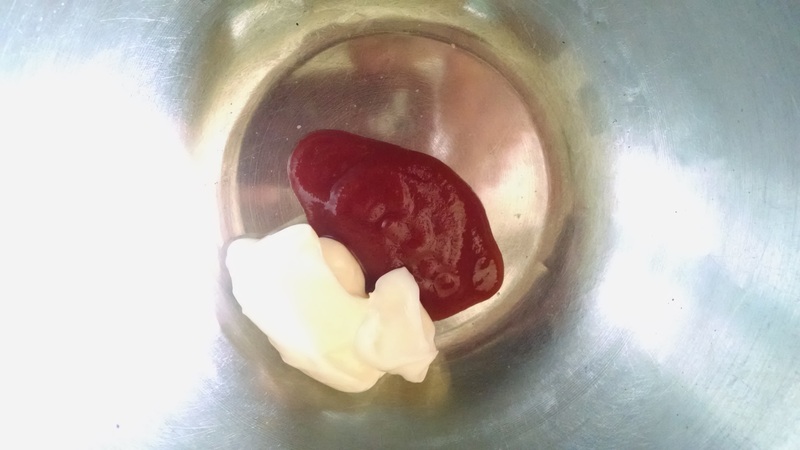 You make the salad dressing first right in the bowl you’ll eventually mix the salad in. As to why make it, there’s no point in not making your own. Bottled dressing is not cheap and have you ever looked at the ingredients label on one of those? Holy preservatives, Batman! Not to mention tons of sodium, and a lot of bottled dressings these days contain things like dextrose and high fructose corn syrup. You know what those are? Sugar, and sugar is getting to be the new bad guy in the food world, and those hidden sugars in heavily processed foods are probably why. (Which is why I’m a big advocate of reading labels, even on basics like mustard and ketchup). Making your own dressing means you can control how much goes in your salad – you don’t need nearly as much as you think. A couple tablespoons will dress enough salad for four. Your own dressing just tastes better, too. And it’s a snap to make. Finally, when you’re just learning how to cook without recipes, salad dressings are easy to play around with. If you make a horrible mistake, just rinse out the bowl and try again. You’ve only set dinner back maybe five minutes, at most. And you will make mistakes. They’re no big deal. Just try again. We have a new mantra to mutter repetitively: You can always add more, you can’t add less. In other words, use less seasoning/oil/whatever than you think you’ll need. You can always add more if it doesn’t taste right, but you can’t take out too much salt very easily. Or cumin or parsley or whatever you used too much of. The basic salad dressing formula is three parts fat to one part acid, plus flavorings. In other words, for every three teaspoons or tablespoons or quarter cups of fats, you add one teaspoon, tablespoon or quarter cup of acid. Fats are your basic oils (olive, canola, corn) or mayonnaise (Trader Joe’s has a good one without fancy chemicals or sweeteners) or even cream. Acid is the tart or sour element, most commonly a vinegar of some sort, but lemon or lime juice works very well, too, and buttermilk and sour cream also count. A note about vinegars – do not, repeat, do not use white distilled vinegar in anything you’re going to eat or drink. It’s great for cleaning floors or your microwave, but its taste is truly horrible. Cider vinegar is also one of those things to watch out for. Make sure it’s actually made from cider, as opposed to the white stuff with flavorings and color added. Blech! Flavorings are things like dried herbs, mustard, ketchup, spices. Anything you think will go with the fat and acid you’ve chosen. A word here about dried herbs. 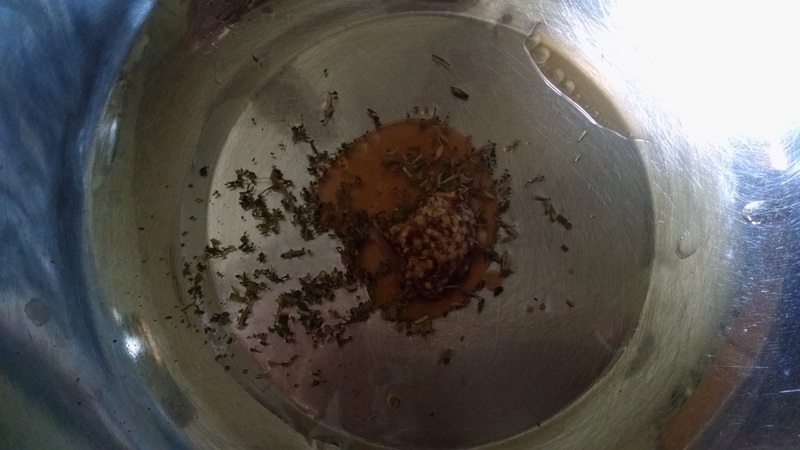 If you can get a hold of a pre-blended mix that has only herbs in it and no added salt or other stuff, buy it. Buy it in bulk if you have to. 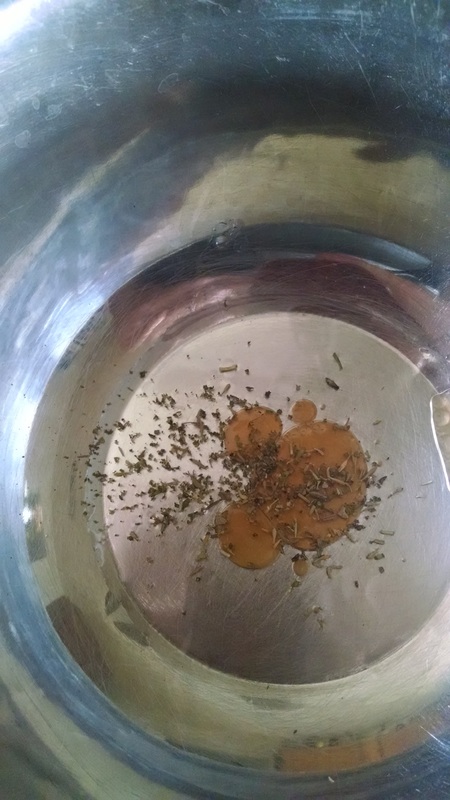 We have herbes de Provence here, and I toss it in tons of stuff. But Italian herbs would be good (not Italian seasoning packets because of the chemicals). Also, it’s easy for me to say things like add your favorite herbs or whatever. But I also know you don’t necessarily have a favorite herb or herb blend. You probably didn’t even know there were such things as herbes de Provence. Here’s how you find out what you, and by extension your family, do and don’t like. You buy some herbs and/or spices and try them individually. You can do this with a basic mayonnaise and lime juice dressing because those ingredients won’t cover up the flavor of whatever you’re experimenting with. Just don’t buy those expensive jars on the spice aisle at your local supermarket unless you have to. Check around. Around here, most supers have a section next to the produce department with small packages of dried herbs and spices for, like, a fifth of what the jars cost. And if you’re not sure you’re going to like something, you don’t want to spend $6 on something that will clutter up your kitchen for years to come. Classic oil and vinegar, the oil just coats the bottom of the bowl. The classic oil and vinegar. This is where you want to use the expensive extra virgin olive oil (and you can get some that are still very good and won’t require adding onto the mortgage to buy). I also like red wine vinegar in this application. Add salt and pepper and taste after mixing with a fork or whisk. You can always add more oil. Add some dried herbs – experiment with marjoram or basil or thyme. Or find some herbes de Provence, my fave. Add some mustard to the classic which has the added advantage of keeping your oil and vinegar from separating while you wash the lettuce. French (which is sometimes called Russian) dressing is simply ketchup and mayonnaise. 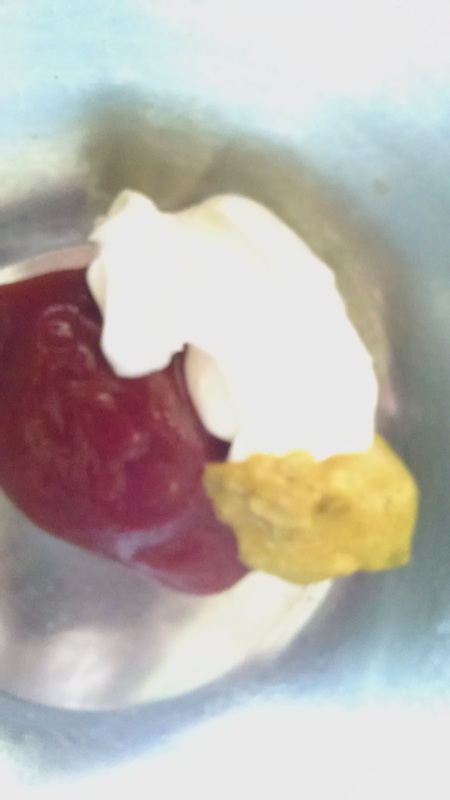 That little yellow blob is actually pickle relish. Someone accidentally brought the stuff with the mustard in it. Thousand Island is French dressing with pickle relish added – a basic for a taco salad. Ranch dressing – puh-leeze. You do not need those little seasoning packets. Salt, pepper, a few dried herbs (oregano, basil, thyme) and mayonnaise. Stir in enough buttermilk bit by bit until it’s as thick or runny as you like. One final note – learn to taste as you go. It’s no big deal to dip your finger (or if you’re cooking for guests, a spoon) into your dressing or whatever and taste it. It will save a lot of nasty surprises at the dinner table. It’s also how you learn what works and what doesn’t. So taste and enjoy your own salad dressing. It may seem a little counter-intuitive to start our learning how to cook journey by starting at the end of the process. But let’s be real. Even folks who love to cook (which ain’t me) generally hate cleaning up. Yet, how you go about getting dinner on the table can make a difference when you have to get it off the table and into the dishwasher. We’ve all heard the old saw, “Clean as you go.” My mom loved that one and I hated it. Until I got my own kitchen and realized she was right. Now, it doesn’t make sense to hold up dinner while you wash the pots and pans right then and there. The food will get cold and that would be icky. But while you’re waiting for the noodles in the skillet casserole to cook through, you can certainly unload the dishwasher and reload it with last night’s dishes. Or make sure the counters and your cutting boards and knives are clean. It’s especially important to clean your knives as you use them. For one thing, they are your most commonly used tools and you want your knife ready to go when you are. 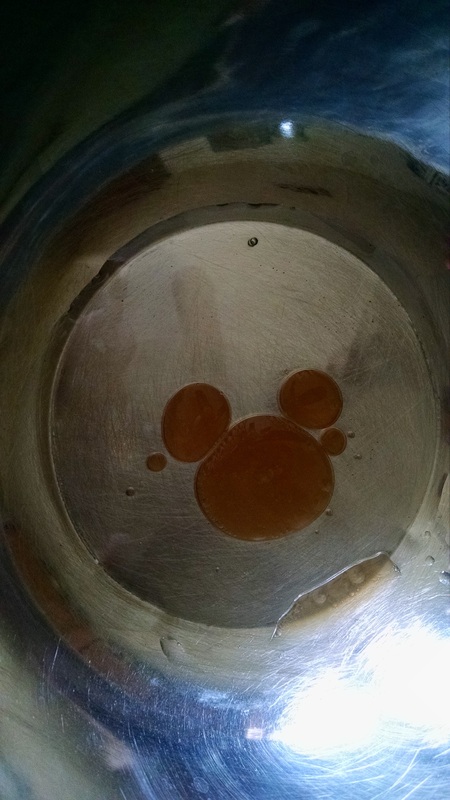 Secondly, letting them sit on the counter while waiting to be cleaned means they’ll bump up against all the other pots and dishes waiting to be cleaned and that can damage that all-important sharp edge. Thirdly, it’s a lot faster, easier and safer to clean a freshly-used blade than one that has something dried on and stuck. A sharp knife is a much safer knife, but it’s also a little scary to scrub hard to get that last bit of dried-on garlic off. Much simpler to run it under some hot water, wipe with a wash cloth and then a towel before the garlic gets dried-on. As important as clean as you go is, there is one other mantra to mutter repetitively until it’s ingrained: “Don’t make any more mess than you have to.” The bowl or pot that you don’t use is the bowl or pot that doesn’t have to be cleaned. Or in our house, sit around on the counter until one of us (usually my husband) gets tired of all the dirty dishes and finally does something about it. You know all those cooking shows with each ingredient neatly measured into little bowls? Don’t do that. It just means all those little bowls have to sit around until they get put into the dishwasher, then pulled out of the dishwasher, possibly dried, then put away. Let me demonstrate a better way as I walk you through a variation on the classic French dish ratatouille. Ratatouille is basically zucchini, eggplant and tomato all chopped up and sauteed with some garlic, onion, herbs and white wine. Oh, and bell pepper. I hate bell pepper. I leave it out. Actually, I also detest zucchini and eggplant, but rather like them in ratatouille because the tomatoes and herbs cover up the icky flavors in the eggplant and zucchini. In this case, I wanted some meat to go with dinner, but didn’t want to grill or cook something separately. I also had some romano beans (or whatever they call wide, flat green beans in your neck of the woods) that were gearing up for a quick trip to the compost bucket if I didn’t use them. 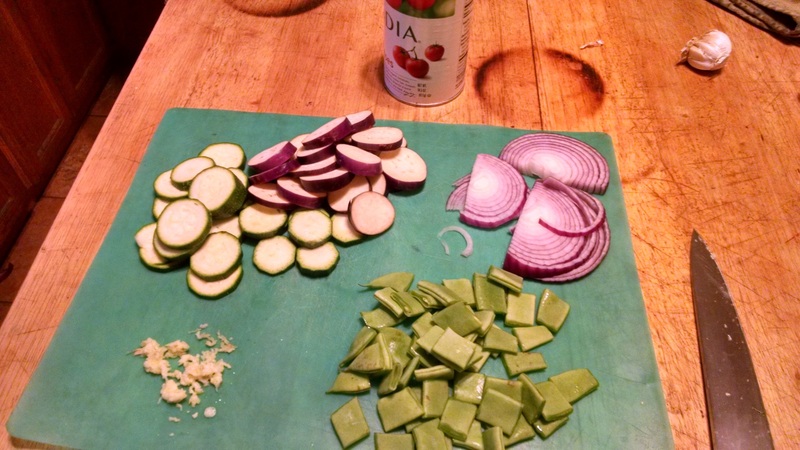 What you can’t see in the photo above is that I had a pound and a half of ground turkey on the stove getting nice and brown while I cut up the onion, zucchini, a Japanese eggplant, and the green beans. 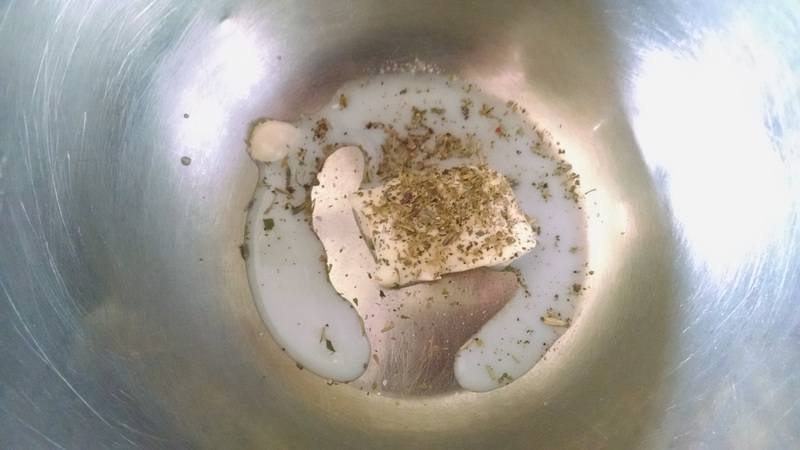 And pressed a couple cloves of garlic – all of which I left on the cutting mat. When the turkey was almost browned, I picked up the mat and slid the onions into the pan with the turkey. I stirred, let them cook for a couple, then did the same with the green beans, and then the zucchini, eggplant, the garlic, and finally, a can of diced tomatoes (no chopping to do and no juicy mess). I added about half a glass of white wine and drank the other half. I often pour the wine straight from the bottle, but that’s not the safest thing to do. You can also use the tomato can to measure your wine, which helps rinse it, as well – about half to a third full. Finally, I picked up some salt out of my salt cellar, sprinkled it over everything, measured about a tablespoon’s worth of Herbes de Provence into my hand, tossed that in, ground some pepper over it all, stirred, then let it simmer about 15 to 20 minutes to get the beans cooked through and all the flavors melding and playing nice with each other. Notice – no measuring cups or spoons to clean. Okay, one wine glass, but that was going to happen anyway. I cleaned up the cutting mat and the knife and put them away. Rinsed the can, put it into recy cling. To serve, I plopped the ratatouille into bowls and put those on the table. Boom. Done. No serving bowls to clean. It’s called plating, and it’s also very helpful if there are folks at your table trying not to eat too much. You’ve got automatic portion control, although that kind of goes by the wayside if someone gets up and fetches more. So there you have it – a veggie-rich complete meal that’s respectably low in calories, very tasty, took about forty minutes when all was said and done (I’d forgotten to thaw the turkey again), cooked in one pan, with only one dish and a fork per person. And the wine glass. Which took all of five minutes to clean up after, or would have had we actually done so that night. As I noted in an earlier post you’re not going to find a lot of recipes here. That’s mostly because I seldom use them. 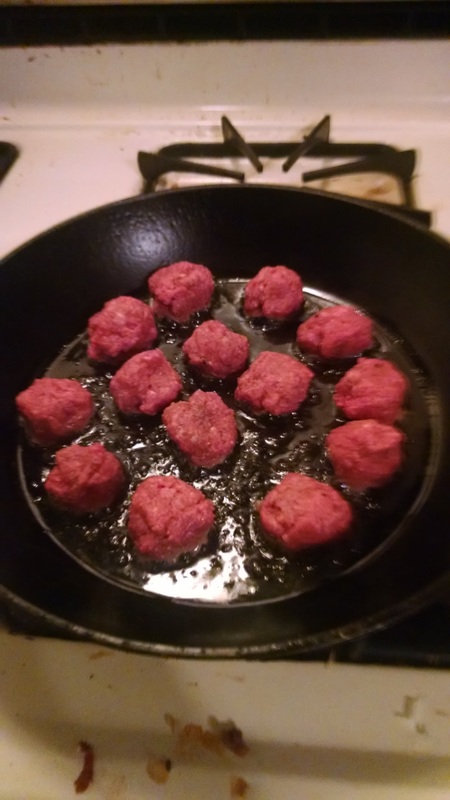 It may seem a little odd for a cooking blog not to feature recipes. And I can understand where someone starting out as a cook might find that a little intimidating. After all, following recipes is largely how we learned to cook. I even had a cookbook for young people that insisted a good cook always read the recipe through completely then followed the steps exactly. But I also grew up with a mother who rarely used recipes and when she did, she seldom followed them exactly. She was a darned good cook, too. Apart from a few family favorites, making dinner was a process that Mom riffed on like a jazz musician. Then when I began my career as the family cook, I soon learned that recipes weren’t always that accurate. Or they just featured ingredients that my ex-husband didn’t like. Or I didn’t like. So eventually, I got out of the habit of relying on recipes to make dinner and discovered something. Dinner happened a lot faster and with a lot less hassle. You’d think the opposite would be true because when you’re making it up on the fly, you have to think about what you’re going to do next. I find, however, recipes slow me way down because I have to stop and check to make sure I’m doing the next step right. Relying on recipes also got to be a problem when one of the ingredients wasn’t there. Maybe it hadn’t been added to the shopping list. Maybe someone ate the cheese I was saving for a casserole. Maybe the meat didn’t get defrosted again. 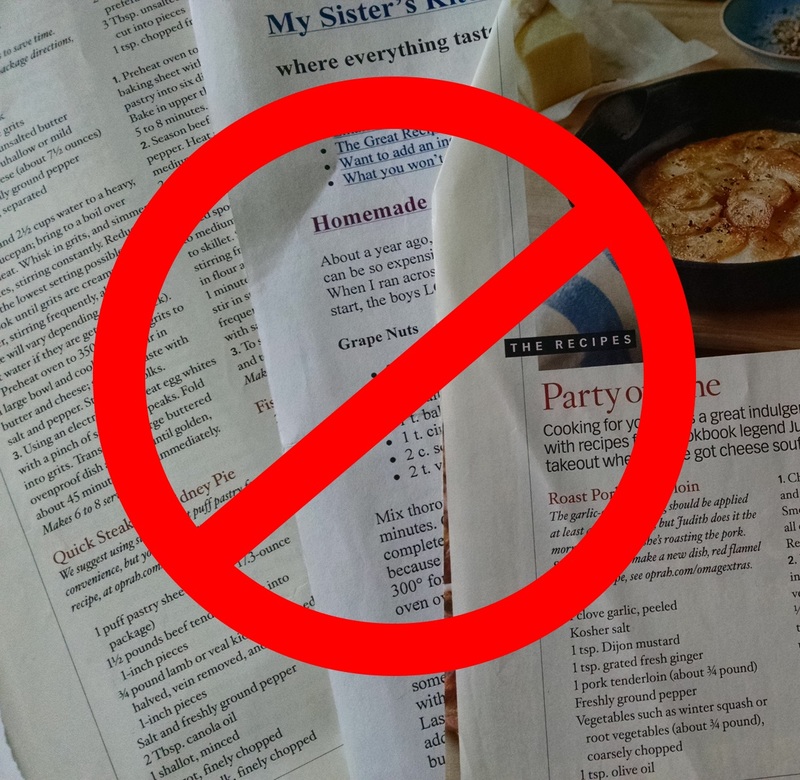 So more time was wasted trying to find a recipe that used what I had or in running to a crowded supermarket to pick up those one or two items. I do use recipes occasionally, such as when I’m trying to learn something new, like how to make Indian food or a classic cassoulet. But most of the time, I’m all about pragmatism when it comes to cooking. I don’t want to spend my time measuring out and checking and re-reading. I want to get dinner on the table so that I can spend my time connecting with my husband. Because that’s why I cook. It’s not a hobby for me. It’s about providing good food and a relaxing atmosphere for the two of us. It’s about food that tastes good and is good for us. It’s how we eat. Hopefully, this will offer some ideas and good thoughts for you, as well. Please do not look for any recipes here. I don’t generally use them. The point of this little blog is to share process – because you can get dinner on the table a lot faster if you don’t follow recipes. And I’m all about the fast, healthy(ish), cheap and it had better be tasty. Man, I was exhausted when I got home last Thursday from a day of errands and chasing dollars. The Beloved Spouse wasn’t feeling much perkier, either. A lack of funding and an attempt to eat healthier ruled out dialing for dinner. And the pound of ground beef we had was frozen solid, too. So what to do? 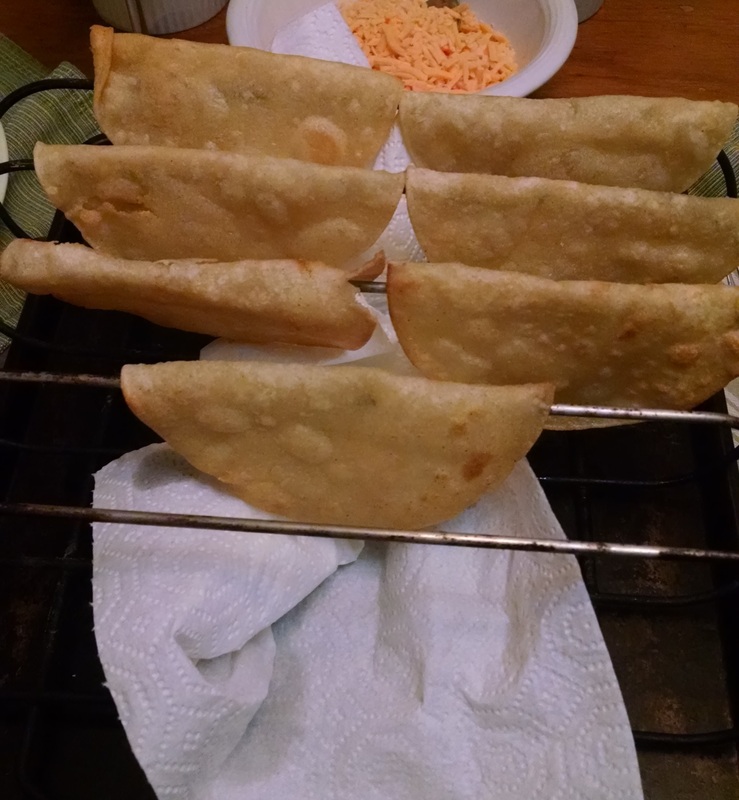 The gringo-style of tacos dorados that my mom served me when I was a kid. Some of my Latina friends serve these with the ground beef fried in the taco shell. We always just sauteed the beef separately and just called them tacos. It actually comes together pretty quickly. The one downside is the clean up factor – it does make a mess. I popped the frozen block of ground beef into the nuke-o-matic and used the defrost setting for the whole one-pound. I don’t like defrosting my meat all the way this way because you usually get cooked bits and that’s not tasty. But since my microwave defrosts things in stages, I let it go for the first round or so, then started pulling off thawed meat and putting it in the frying pan. I also put the remaining frozen block in the pan and got it all going over medium low heat. I know, I know – you’re not supposed to cook meat that’s still frozen. It steams it and/or dries it out, depending on who you’re reading. Well, pshaw, pshaw. When dinner needs to get onto the table, I’m not waiting for things to thaw out slowly or in the nuker. I push the thawed bits to one side of the frying pan, center the part of the pan with the frozen meat over the flame and scrape off the browned bits, then flip the frozen piece, breaking it up where I can. And that’s what I did this time, using the times the frozen meat was cooking to chop the bejeebers out of an onion. Note to Self – do up video of how to chop an onion for this blog. 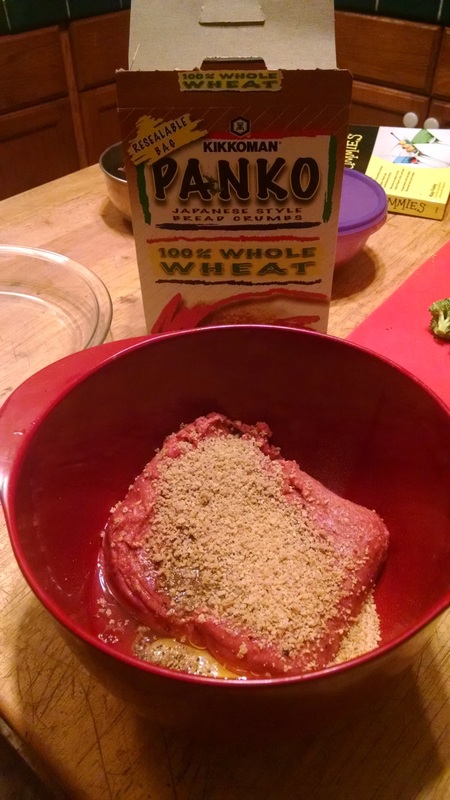 Once the meat was mostly thawed and partly browned, I added the onion and about a tablespoon full of ground cumin and a quarter to half teaspoon of cayenne. Second Note to Self – do up video of how to measure into your hand. Got all that stirred up and put on low heat to cook through and stay warm. The Beloved Spouse chopped up some lettuce, pulled the shredded cheese from the freezer, sliced some black olives and dished out some light sour cream. We also usually do up some tomatoes, but this time of year, there aren’t any good ones to be had. These all went into little dishes. See what I meant about the mess? But that’s only the beginning of the mess. Now, I did use the nuker to thaw my tortillas since these are very handy to buy in bulk and keep in the freezer. Dried them off with a bit of paper towel that I later re-used to drain the oil. We have a small rack that makes draining taco shells really easy – it’s actually a rack you use in small BBQs to hold ribs. I put that on a cookie sheet, paper towels underneath, and get the small fry pan ready with a couple tablespoons of oil. Basically, you want to be able to cover the tortilla. Once the oil is hot, slide the tortilla into the oil, let it soak just a nano-second, then pull it out and flip it. Give it another nano-second or two, then fold one edge over to make a half-moon shape. Flip again, then pull the shell out of the oil and drain on paper, a lint-free towel or a rack. Depending on how many of these you’re doing (we did seven for the two of us), alert everyone that dinner is two to five minutes out and see to it that someone has set the table. Or you can before you start the tortillas. We put about a third of the meat in a bowl, reserving the rest for a taco salad at some later date (boy, will that make that dinner easier), then put spoons in all the fixings so we could stuff our tacos to our respective preferences. Dinner landed on the table in just a little under 30 minutes, and that included time to take the photos. And then we collapsed. The mess waited.